Welcome to Cripplebush Valley Models, the home of Rubber Rocks! 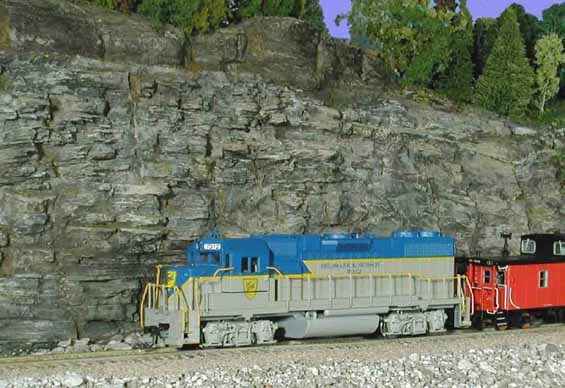 We offer the quickest and most realistic way to model outcrops and rock cuts. Our products are flexible, ready-to-install castings. There's no need to make messy plaster castings - just bend the Rubber Rocks to the shape you want, trim off the excess, and glue them in place! For more information, click on any Rubber Rocks link and we'll be happy to tell you more.